1. I am a putinista, albeit not a passionate/blind one. 2. I am a doctor and a professor of international law. modern law of cession in international relations. 5. I read the last item on your 13/04 issue. 6. It is overemotional and polemical and while I agree with the majority of facts stated therein (particularly the author’s assessment of the legality of Decree 1400) these facts do not constitute legal basis for (to my UTMOST REGRET!!!!!) 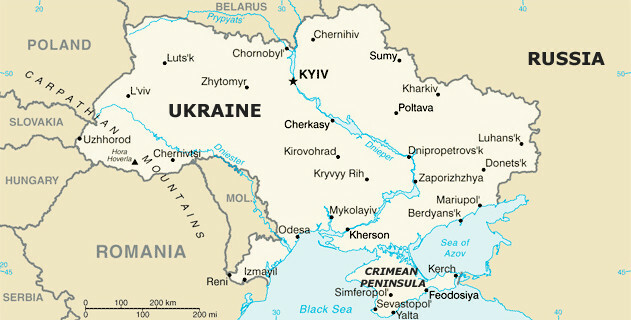 Russia’s seizure (annexation, occupation, re-unification, please choose as see fit) of Crimea. D. On that basis there is a very strong argument to consider the March 18th referendum illegal from the point of view of public international law. This point of view was re-inforced by the recent statements of the Russian President who admitted that Russian troops stationed in Crimea had a role in the referendum process. E. The counter argument is that the coalition troops in Kosovo performed a very similar role to that the Russians performed in Crimea. A lot of international law is built on precedents and it could be argued that the Kosovo precedent could be applicable to Crimea. HOWEVER! There is a difference with the Kosovo situation – the referendum there was not about joining any state (let alone any state which was a member of the coalition). Thus it may be argued that Kosovo precedent does not apply to Crimea. 8. The principle of humanitarian intervention is the most controversial novelty of public international law and is seen as being widely abused (as the author rightly pointed out). HOWEVER, in all situations where it was used as justification for military intervention, the intervention came AFTER situation in the target state went out of control and the state (or a clearly defined part thereof) was the scene of some considerable and well documented violence. This was not the case in Crimea, where the situation was tense but non violent at the time of the referendum. It would be very difficult to use that principle to justify Russia’s interference in Crimea PRIOR to any violence there actually taking place. This is a very short and simplified summary of the position under current international law of cession. If and when the ICJ would hear this case it would be a huge headache for any non-prejudiced judge involved. The complicating factor (one of many) is the legal history of Crimea and the 1992 referendum….. And the clear and unequivocal desire of the qualified majority of Crimeans to be re-united with Russia.